Medication adherence is defined as the degree to which a patient correctly follows medical advice. Most commonly, it refers to medication or drug compliance. Medication non-adherence, or a failure to take prescribed medication costs the US Healthcare System over $200B per year. One culprit is a lack of a unified, real-time view of the patient information across the healthcare community of providers, pharmacies, health plans and other stakeholders. 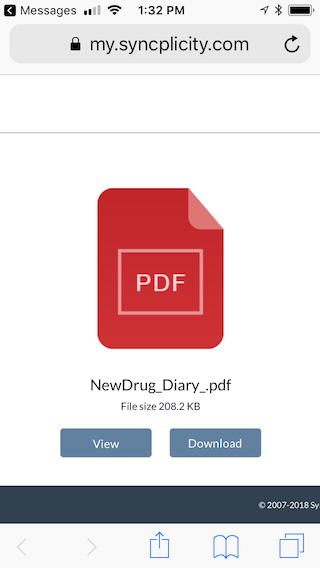 In this blog post, we’ll introduce and briefly describe a proof of technology demonstration of how the Axway AMPLIFY™ platform can be leveraged by a Healthcare Provider to implement a medical adherence system. You will see how AMPLIFY can be the foundation to help keep patients engaged in their care plan and simplify the medication management and adherence process. 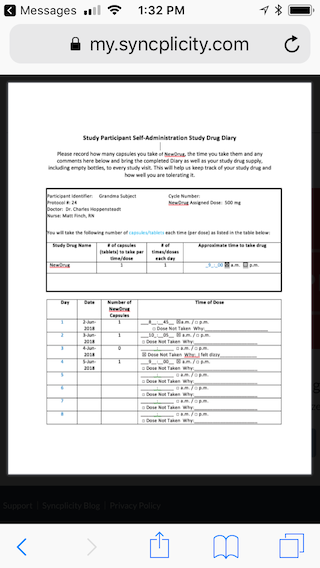 The demonstration is also well suited to digital clinical trials to ensure that medication is being taken in a timely fashion and to coordinate sharing of eDiaries (a log of medication adherence kept by the patient). Be sure to read all the way to the bottom of the blog, where you’ll find the a video demonstration. The roles covered in the demonstration are of the patient, family member, healthcare provider and pharmacy. The demo also uses an AWS IOT Button for emulating a Smart Pill Bottle. Let’s review the roles in more detail. The AWS IoT Button communicates with the medication adherence system via an Amazon Lambda function via API calls. In your application, you could use a bluetooth-enabled smart bottle or other intelligent monitoring device. There are a growing number of these in the market. 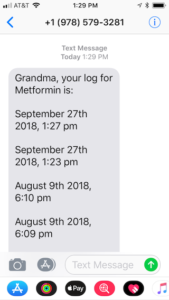 When a dose is logged, AMPLIFY sends an SMS confirming the dose to the patient’s mobile phone. 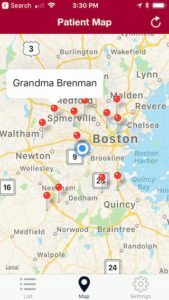 SMS is chosen for its ubiquity, since elderly patients may not always have, or be comfortable with, SmartPhones and SmartPhone applications. When a list of the last 10 doses is requested, again AMPLIFY will send an SMS of the last 10 logged doses to the patient’s mobile phone. 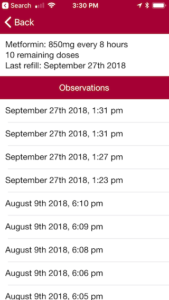 API Builder has a timer that checks each patient’s observation (logged medication dose) and compares the list to what is expected. 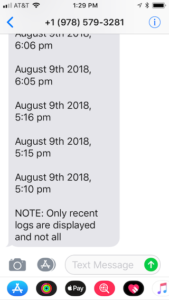 If API Builder finds that the patient is late on a dose or that the patient is running low on doses, it will send an SMS in each case. 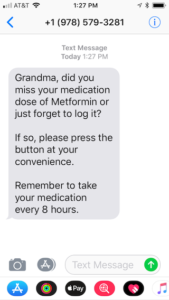 The family interacts with the Medication Adherence demo system using an Amazon Echo. 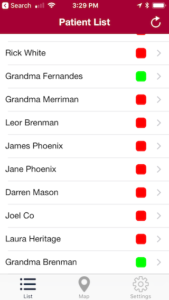 This enables the family to check on the patient with their voice. 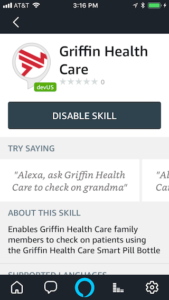 The Amazon Echo Alexa skill implementation runs on API Builder. 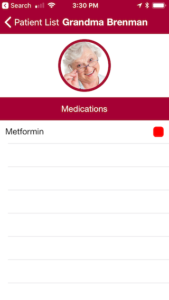 The two main responses are that the patient is up-to-date on their medication or that the patient has missed their last dose and the family member should check on the patient. 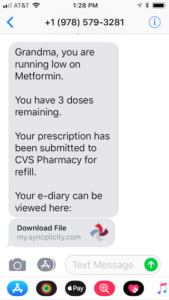 The pharmacy role is represented by the SMS sent to the patients after API Builder makes an API call to the pharmacy to refill the prescription and gets a success reply. 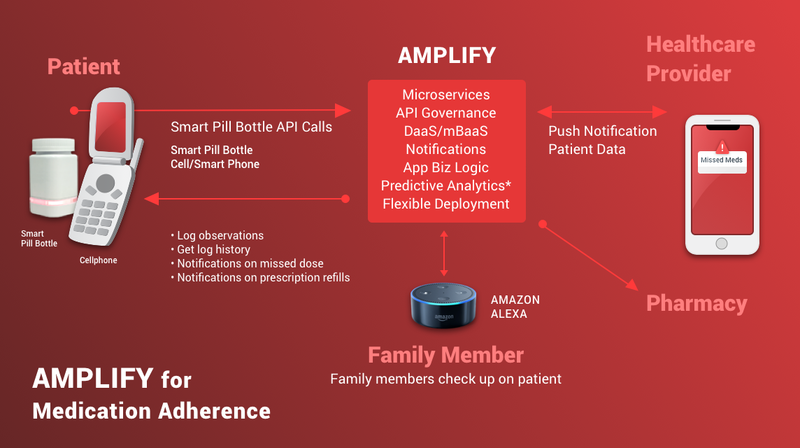 As described above, Axway’s AMPLIFY platform can help a Healthcare Provider reduce cost and improve their patient’s health by implementing a medication adherence system that serves several personas, use cases and interfaces. And, don’t miss Ruby Raley’s debrief of the demo in her blog here. May want to consider telemedicine partnerships with video conferencing capability for welfare checks, medication compliance (mouth checks). Instead of echo as the only option, maybe include Echo Show as an option and or ichat type of feature for the app. May want to consider all in one packages from Amazon. 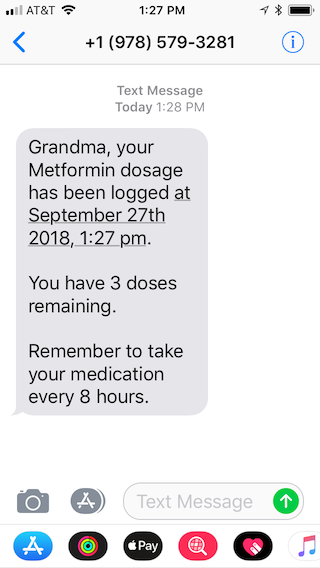 If grandma has 7 medications does she click 7 different bottles? If in partnership with a pharmacy chain, weekly med trays can come with refills/medications in a starter kit. Once starter kit is received, medications and refills can be shipped to grandma if she is not mobile or a care provider is unable to pic up her medication. 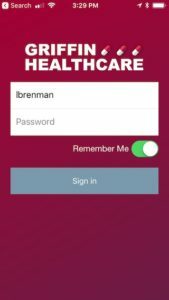 Hipaa waivers should come preloaded for all providers, family and grandma on the app in the event one or more party lives out of state and or country.